Learn about LCD lighting or liquid crystal display lighting in this informative article. Liquid crystal display, or LCD lighting, appears everywhere – from on our watches to the screens for computers. The technology behind LCD liquid crystal displays defies our understanding of typical lighting. The first thing to recognize about liquid crystal display lighting is that LCD technology is a way of selectively blocking light, not a way of producing light. Thus, LCD technology is not truly a light source technology, but it is packaged in such a way that we often don’t discern the difference. LCD technology appears everywhere from our watches to the screens for portable computers. In a computer screen, the light sources are actually thin fluorescent tubes coupled with various techniques to even distribute the light across the screen. On watches, there is a reflective surface under the LCD display, and the light source is just the ambient light! Watches also have a separate light source built in so that you can, at the push of a button, read your watch in total darkness. “Liquid crystal” sounds like a contradiction in terms. Yet some substances at the right temperature are liquid yet still maintain numerous microscopic rod-like structural shapes. Note that this special state of matter is a function of the temperature. Thus, the screen on your portable PC may behave oddly in very cold or very warm environments. The orientation of these rod-like shapes is influenced by electric currents. The rods can collectively act as a polarizing filter. Most of us are familiar with what happens when you use one or two polarizing filters. Polarized sunglasses (a single polarizing filter) significantly reduce glare. If you place two polarizing filters together (one behind the other), the amount of light that passes through depends on the alignment between the two filters. If the two filters are aligned together, then light passes through as if there was only one filter. If you rotate the two filters so as to be 90 degrees out of alignment, then almost all of the light is blocked. The amount of light that is blocked depends on the angle of rotation between the two filters. An interesting effect takes place if you introduce a third polarizing filter. Place the first and third filter so that they are at 90 degrees to each other. You would expect most of the light to be blocked. However, the amount of light that passes through now depends on the angle of rotation of the middle filter. In some positions, most of the light is blocked, and in other orientations, the light passes through. 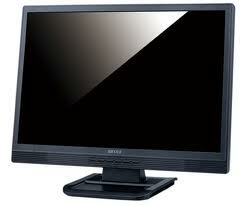 In an LCD display, the liquid crystal material acts as the middle polarizing filter. The liquid crystal actually also possesses a complex twisting behavior (like multiple stacked polarizing filters), but the simplified description here is sufficient. The various colors are made by having very tiny areas of the screen tinted red, green, and blue. This entry was posted in Lighting and tagged computer screens, LCD, light, light source, lighting, liquid crystal display, polarizing filters, reflective surface, technology, watches. Bookmark the permalink.